From Where I Stamp: Creativity Starts Here - Paper Pumpkin! Creativity Starts Here - Paper Pumpkin! I love April's Paper Pumpkin! The anchor and lighthouse! My coworker's birthday was the end of April and I made this card for her. Had to create a large enough card so that each person could write a greeting. Last year I created a regular 5.5" x 4.25" card with Whisper White flaps that opened, but this year I created a double card. 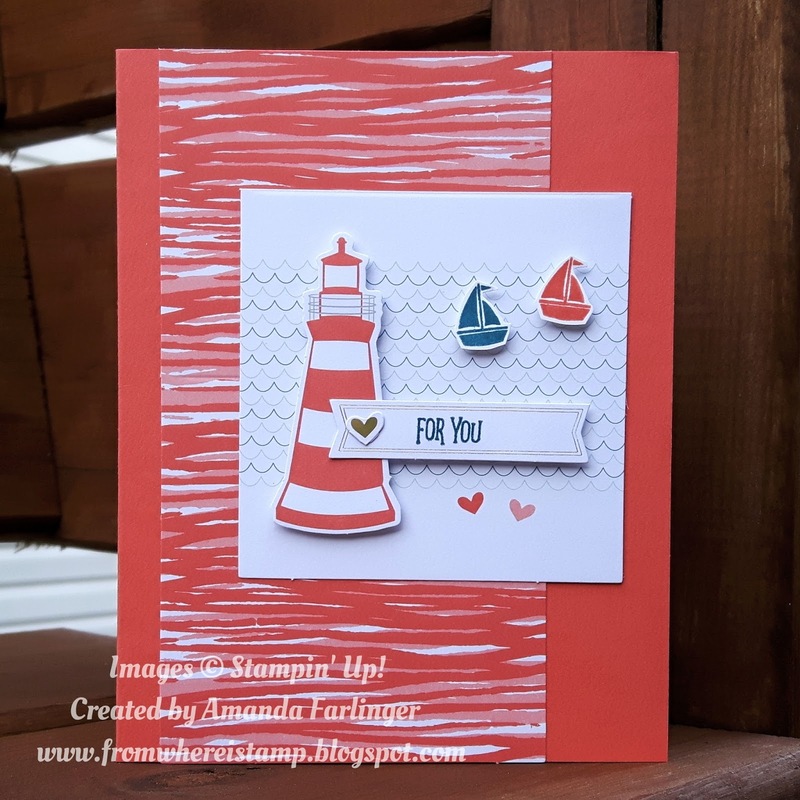 Each card base was trimmed and then glued together to create the longer card - perfect for our birthday greetings! and make sure to enter the code SAVEFIFTY0418 to receive your first 2 kits at 50% off!